Schools Manager Jack Clark talks about a recent article he has read about Learning Outside the Classroom and his own first-hand experience. I came across an article the other day – The benefits of leaving the classroom behind, written by the Council for Learning Outside the Classroom which focuses on the four benefits of Learning Outside the Classroom; 1) engagement of learning, 2) independence and personal development 3) improved relationships 4) happiness and wellbeing. 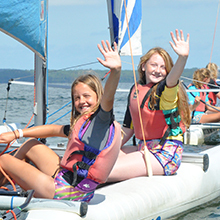 It came at a very apt time as I had not long returned from a whirlwind visit to our three centres in south west France which were jam packed with excitable youngsters experiencing an 8-day residential adventure with us. For many of them it could be considered a series of firsts – their first time away from home, their first time stand up paddleboarding, their first time sleeping in a tent, their first time eating snails, their first time sitting next to someone they had never spoken to before and their first time spending time with a teacher outside a classroom environment….the list could go on. By the end of their week, these were no longer firsts and the sense of achievement amongst the children was as palpable as the sense of pride felt by the teachers. It’s very easy for me to forget the real effect that a residential trip has on the lives of youngsters. I spend most of my time going to schools, meeting teachers, talking to parents, doing presentations and ensuring that a Rockley trip runs as smoothly as possible from the first point of contact to when the teachers come home. For me going out to France and talking to both the teachers and pupils and seeing for myself how they all interact and respond to this adventure, really brings home the positive experiences that all the pupils who come with us get to enjoy. Yes, at times it’s challenging, sometimes daunting and nerve-racking but the self-belief that these youngsters develop when they realise that they can overcome certain fears is beyond heart-warming. The resilience they display, the willingness to work as a team and give things a go, the positive relationships they create and their increased confidence is something that is seen time and time again by teachers and by the team throughout Rockley’s 42 years of providing these trips. 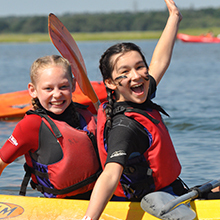 Each year, 10,000 school children come on a Rockley trip and the skills that these individuals have the opportunity to develop will not only serve them well in their school life but are very much transferrable throughout their lives. It is also very important that what we offer is not restrictive in any way. 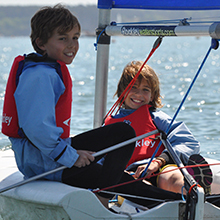 Each year we host the ‘Can Do’ Festival at our UK, Poole Park centre which offers local schools with youngsters on the SEN register the chance to try out our activities in a non-school, competitive environment. This year 13 children from Kingsmill School with varying special needs enjoyed an 8-day residential with us at our AzuRivage centre in France. Despite their disabilities this did not stop them from doing all of the activities we provide. The determination they showed along with their positive attitude and willingness to rise to a challenge had a hugely positive effect on the Rockley team who were lucky enough to lead the group. The lead teacher - Andy Watts spent two years trying to get this trip up and running as he believes that a memorable and positive school experience includes residential trips like the ones we provide. I have three young daughters of my own, one of which has just started her school journey, and I truly hope that they will get to enjoy ‘life in all its fullness.’ I want them to have the chance to learn and experience life outside of the classroom as well as in a school environment, I want them to have a teacher like Andy Watts who sees the value in learning outside the classroom and I hope they get to take away some amazing memories like the ones we create at Rockley.